Donate today, help make sure no-one needs to sleep rough in London. We’ve all seen people sleeping rough near where we live and work. During the past year, almost 8,000 people were seen sleeping out on London’s streets. Welfare changes, soaring housing costs, and a shortage of affordable accommodation mean that more and more people are left with nowhere they can call home. Rough sleeping has more than doubled in London since 2010. Homelessness charities are working with the Mayor of London and local councils to provide services to help people rough sleeping to leave the streets. Every Londoner can help too. 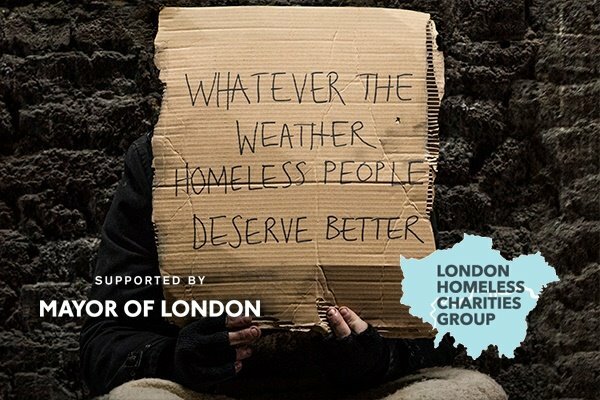 You can donate to the London Homeless Charities Group so that we can offer more support to help people leave the streets and rebuild their lives. 22 charities with decades of combined experience in tackling homelessness have come together to provide a single point for donations. By giving your money to this coalition of charities, you can be confident that your donation will be distributed fairly and provide real help for people sleeping rough. Each of the participating charities has nominated a project that will benefit from your support. All the projects share a commitment to helping people sleeping rough or who are at risk of doing so, whether through providing assistance and advice, emergency accommodation, or the support people need over the long term. Contact us if you want to know more about our work by e-mailing LHCG@Mungos.org . “Even one person sleeping rough in London is one too many, which is why I’m asking Londoners to join me on my mission to end homelessness. “Last year Londoners generously donated £200,000 to homelessness charities, and made a record number of referrals through StreetLink, which helps outreach workers find rough sleepers and offer them support. This year, we’ve brought together 22 charities running homelessness projects who Londoners can give money to, both through this single donation page and through new contactless donation points across the capital. Sign up if you would like to receive updates about how the Mayor is helping rough sleepers off the streets . Your donation could help towards a community initiative that provides safe rooms and support to young people, or it could help provide personalised, long-term support to someone who is homeless with mental or physical health issues. You could be supporting emergency severe weather shelters for people with nowhere else to turn in sub-zero temperatures, or specialised skills training to help someone experiencing homelessness into work. How ever much you are able to give this winter, you will be helping someone who is in crisis to access the support they need to stay off the streets for good. 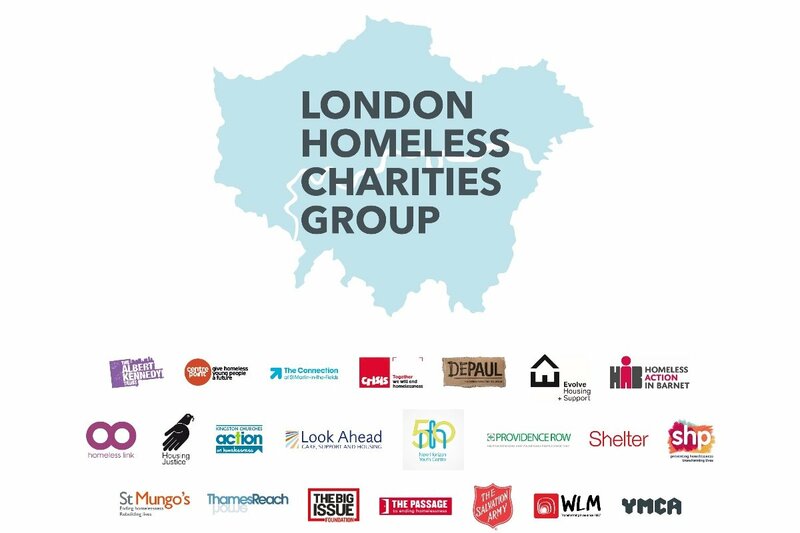 St Mungo’s is co-ordinating the appeal for the LHCG this year and will distribute donations equally to the 22 charities to fund vital services for people in London who are sleeping rough or at risk of doing so. We are fortunate to have the support of GoFundMe who have donated £5,000 towards the campaign and who have been incredibly supportive throughout the planning and launch stages. GoFundMe do not charge any platform fees, but a standard third-party payment processing fee of 1.9% applies to all donations. If you choose to add GiftAid to your donation, 100% of the additional Gift Aid amount will go direct to the charities. All funds will be distributed by the Pay Pal Giving Fund to St Mungo's, who will distribute them equally between the 22 member charities. The LHCG is also supported by TAP London. You can read more about their work here. The cold weather has set in, and the members of this charity coalition and the Mayor are doing all they can to help London’s rough sleepers. But we need your help, too. Any donation, no matter how small, will enable us to do more to help those sleeping rough tonight, so please consider once again backing us with a donation. We’re grateful for the generosity of all those who have already given.